Life is a game and with bet-at-home’s action packed eSports library that is a game well played! You’ll find an awesome match coverage a long side a nice variety of entertaining markets to bet on. Download a well-designed mobile app to make the experience on the move a fantastic one and find withdrawal times that are up to standards, which means that your profits can be enjoyed shortly after cash out. Speaking of profits, daily lotteries with pure cash as prizes can make you greatly rewarded for just visiting the site! Find out more about bet-at-home by reading the full review below or just head on over there and start placing bets! 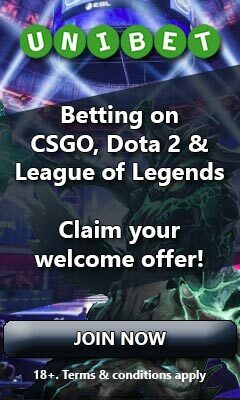 At bet-at-home you’re always able to find odds on plenty of matches going down on the most popular eSport games and in addition to this they offer quite a nice variety of entertaining markets on CS:GO, League of Legends and Dota 2. By clicking here you can see all of the games and markets we have seen covered so far. If lady luck is by your side, having an account registered at bet-at-home can be quite rewarding as they have two daily lotteries where a random player gets €60 and €50 in pure cash. However, if the money isn’t claimed the same day, another player will win this + another €50 the next coming ong. Sometimes the prize isn’t claimed for several days which leads to incredible jackpots of more than €1000. Apart from these lotteries and the welcome bonus offered, there’s usually one or two promotions running. Once a withdrawal is requested at bet-at-home, this is usually processed within 24 hours, which means that you rarely have to wait very long before receiving your winnings. When it comes to settling of bets, these are always settled after the match. Usually you don’t have to wait very long, but there are indeed times where it unfortunately might take a while. In general live bets are settled faster than pre-match ones. If you’re ever in need of assistance, the customer support at bet-at-home can be reached through both live chat, e-mail and phone. Unfortunately though this isn’t a 24 hour service as it’s only open from 7 am to 10.30 pm. The mobile experience at bet-at-home is quite a good one as their website is well adapted and in addition to this they also have mobile applications developed for both iOS and Android, which makes the experience even smoother. 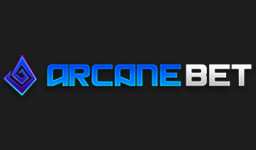 For eSport enthusiasts there aren’t that many site features to be mentioned at bet-at-home. A cash out option that is offered on some bets is more or less the only one. They do have statistics of previous results for plenty of matches, but unfortnuately not for any eSport ones. 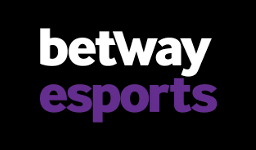 If you like switching up your eSports betting with gambling on other products, you can definitely do so at bet-at-home, but they don’t have the widest selection of games, although their variety of them is pretty good. 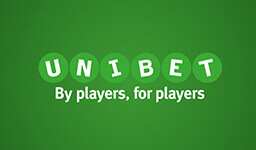 You’ll find about 100 different slots offered by NetEnt; a really nice live casino by Evolution Gaming; a couple of video pokers; virtual betting on a couple of sports; as well as a poker network offered by the iPoker provider. Bonus + deposited amount needs to be wagered 4 times on odds 1.70 or higher within 90 days. Bet-at-home does quite a nice job with offering a variety of entertaining markets, but as is the case with the majority of eSport betting sites, it’s only for CS:GO, League of Legends and Dota 2. In the below list you’re able to see all of those that we have seen offered so far. Please note that some of these markets are special ones which are only available on certain tournaments. Austria, Bosnia, Finland, Germany, Ireland, Netherlands, Poland, Sweden, Switzerland, UK. Argentina, Australia, Brazil, Canada, Czech Republic, Denmark, Belgium, Bulgaria, Greece, France, Iceland, India, Indnoesia, Italy, Malaysia, Mexico, Nigeria, Norway, Philippines, Portugal, Russia, Spain, Turkey, UAE, Ukraine, USA.